Today, I had a chance to speak with a friend of mine who is an expert in Arabic culture, language, and Muslim culture and language. He has taught these subjects at the university level. I shall not share his name. He said the French need to get together and pray and they need to find out what is really means to be French. They have forgotten, said this man, that to be French, the identity of being French is not the same as nationalism. What does it mean to be French? What separates a French man or woman from other peoples? Even Sartre and Camus, or Foucault, had a line of departure, which was Catholic, liberal arts education. "Prayer and study is what they need," he stated. "The French cannot believe the secular myth that all peoples are the same and that all religions are the same. They need to reassess what it means to be French. What would Charles Martel have done, or Louis XIV?" Father Stephen Morrison is the first priest from the boys of Chavagnes. There are two teachers who have become priests. But, the new priest is the first alumnus of Chavagnes International College. The school has been a resource for parents who want a traditional Catholic education based on the English style of boarding. Chavagnes lies in the great historically Catholic are of The Vendee. Headmaster Ferdi McDermott said today that "Father Morrison was with us for three years and played a key role in building up our school. Our boys today are inspired by him and his example." Raissa notes again and again that she is separated from others, events, the world. This separation happens and is not the same as withdrawal. Withdrawal from the world is an act of the will. Many who go into monasteries willingly withdraw from the world. However, to become separated indicates that God is taking the initiative in removing a person from those around her. One can be in the world and still separated and one could be withdrawn and still worldly. The state of separation by definition shows us that there are two worlds. These two worlds can be understood by those who are in this state of separation. As Raissa points out, if a person does not understand what God is doing, one can become confused. This was never my problem. One suffers in the "separated" state, as Raissa makes clear. One is not allowed to be attached to people, time, place, circumstances. Why God demands this separation is unclear but I have a theory. In the days of the Old Testament, a sheep or goat was chosen once a year and the high priest took this animal into the Temple, In a ritual, the priest would say all the sins of the community over this animal, the "scapegoat. Then, this animal was taken out into the desert and let go. Of course, it would die, eventually, either from thirst and the elements or from a natural predator. The scapegoat was called "the anathemata", a word which means both one thing and the opposite. The anathemata was both considered highly sacred and highly sinful. Christ is the ultimate anathemata, taking the sins of the world onto Himself, like the scapegoat, innocent, but carrying the burden of sins on His own Body. 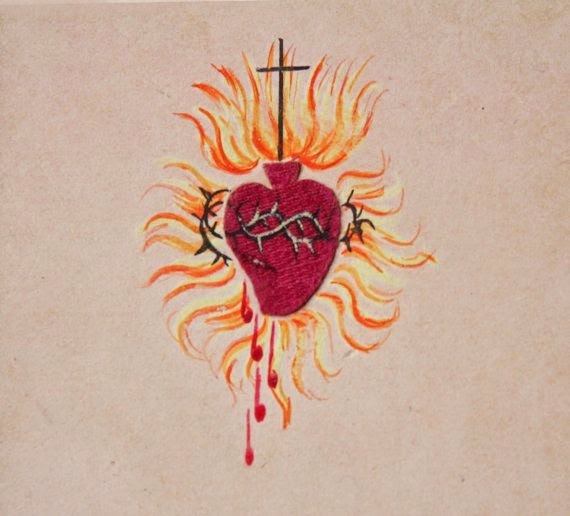 Thus, Christ is both Sacred and Profane on the Cross. He is given back to God, like the scapegoat was given to God, and even like the Greeks, who invented this word, made something sacred and gave it back to the gods. 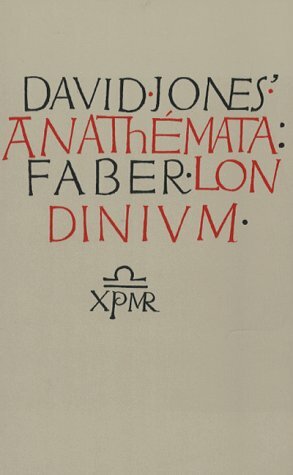 Of course, I think the most elegant and profound long poem ever written in the English language is David Jones' The Anathemata, which is about Christ and the Eucharist. Raissa reveals her personal knowledge of being separated, being set apart by God to be sacred and to do reparation for the sins of others. We do not choose this state, but God does. and only those who are separated know the great pain of this call.